This past season, Blizzard introduced the Sheeva 11, which is their widest women’s-specific ski (and it returns unchanged for 18/19). The Sheeva 11 shares the same shape, rocker profile, and construction as the men’s Blizzard Rustler 11, but comes in shorter lengths and with different topsheets. 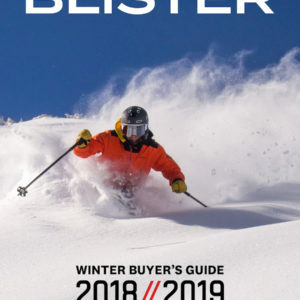 Since the Rustler 11 is a ski our other reviewers have been quite fond of in a pretty wide range of conditions, we were very eager to see how the Sheeva 11 performed as both a powder-specific ski, and as more of an all-mountain option. I’ve now had several days on the Sheeva 11, and have gotten it in 6-8” of pow, on firm morning groomers and bumps, and steep off-piste chalk at Taos. I’ve also spent some time comparing it to other options in this class, so let’s see how it’s performed. Overall, the Sheeva 11 has a pretty accessible flex pattern, but is still very supportive in the middle. I think this flex pattern is definitely noticeable on snow — the midsection of the Sheeva 11 feels stable, and the tips and tails are forgiving. Given its width, the Sheeva 11 impressed and surprised me on groomers. Sure, it takes a little more effort to roll it on edge (it is 112 mm underfoot, after all). But once on edge, it felt responsive and had strong edge hold, particularly on fresh corduroy. As I noted above, the middle of the Sheeva 11 feels quite a bit stiffer on snow compared to its tips and tails, and I feel like a lot of the stability and response from this ski was pretty specific to the midsection of the ski. Compared to the 177 cm Nordica Santa Ana 110, the tips and tails of the Sheeva 11 feel a little softer and more forgiving, and I’d say the Santa Ana 110 is a better and more powerful carver. The Sheeva 11 also has slightly deeper rocker lines than the Santa Ana 110, which could also account for the feeling of decreased engagement at the ends of the ski. Kara Williard on the Blizzard Sheeva 11, Taos Ski Valley, NM. With that said, the Sheeva 11 can still make some pretty smooth and high-speed carves for being a ski in this wider, powder-oriented category. With a forward and aggressive stance, I could get a bit more energy out of the ski and further engage the shovel, which was reassuring. The Sheeva 11 prefers slightly longer turns compared to the 177 cm Santa Ana 110, though it’s still very easy to slide / pivot the Sheeva 11 around in tight spots thanks to its rocker profile and low weight. On groomers, I think I would have preferred the increased stability of the 180 cm Sheeva 11. 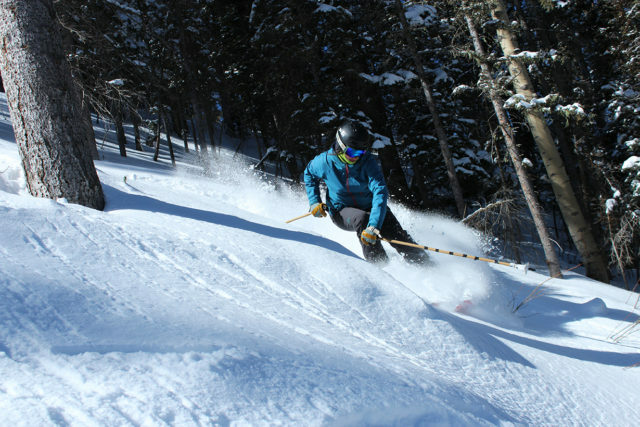 But for all-mountain skiing at a place like Taos, the 172 cm was an enjoyable length for me. It offered enough stability for groomers and soft chop while being nimble enough to ski tight chutes, seek out soft stashes in the trees, etc. 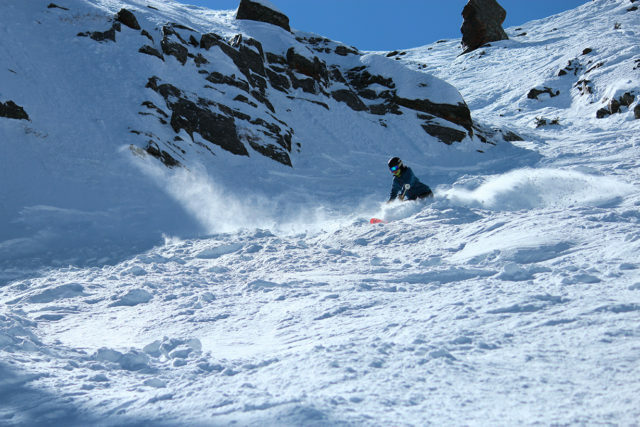 The Sheeva 11 has a well-balanced and accessible feel in moguls. Again, the midsection of this ski feels fairly stiff and pretty stable, and the Sheeva 11 responds well to subtle inputs (especially for a ski this wide). Meanwhile, the tips and tails feel quite forgiving, poppy, and easy to release. While I was able to dig in the edges of the Sheeva 11 in the troughs of firm / icy moguls, it definitely feels more comfortable in softer conditions (it’s a lot of fun in slushy bumps). 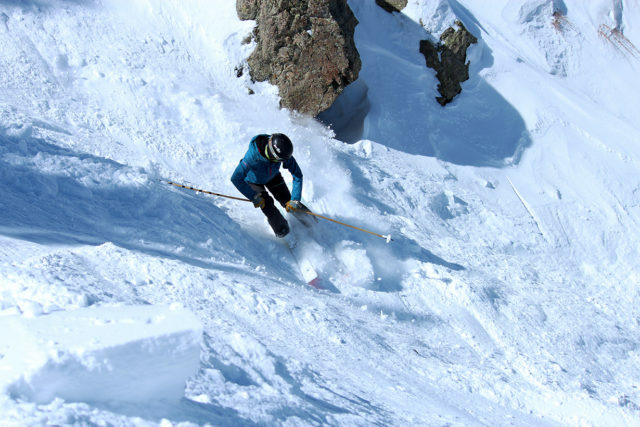 On really firm moguls, this ski was easy to turn, but sometimes felt like it lacked the tip-to-tail edge hold of narrower and / or less rockered skis. And while I could edge in on firm snow, the Sheeva 11’s low weight also made it easy to hop, slide, and pivot my way through bumps. At 112 mm underfoot, I wouldn’t choose the Sheeva 11 as my daily driver for a place like Taos, but it still made for some fun laps in bumps. For bump skiing, I do prefer the Sheeva 11’s narrower and more nimble sister, the Sheeva 10, which is 102 mm underfoot. But overall, I still had a great time taking the Sheeva 11 through a whole lot of bumps and found it to be consistently energetic, forgiving, and easy to command while not being dull / boring. When things got really firm, crusty, and cruddy (especially during spring mornings when the snow had melted the day before and then refrozen), the Sheeva 11 still felt forgiving and fairly predictable. However, there were definitely moments where I felt the shovels getting knocked around. While the Sheeva 11 felt slightly chattery in these conditions, I didn’t expect this ski to really shine in this snow since, at 112 mm underfoot, it’s definitely designed to excel in soft snow, not rough, refrozen crud. I tend to prefer a ski with a bit more effective edge / less rocker, a narrower waist, and more metal / weight in this sort of difficult firm snow. That being said, the Sheeva 11 was definitely manageable in these conditions, I just had to dial back my skiing slightly. In summary, the Sheeva 11 is a ski that’s best suited for soft snow, though it remains fairly predictable and easy to maneuver in very firm crud / chopped-up snow. Just keep in mind that it is fairly light and will get knocked around more than heavier skis. The day they opened West Basin at Taos for the first time this season, there were some dreamy and soft tracks to be had, with some occasional set-up and crusty turns in between. I was happy to be on the Sheeva 11 for these conditions. The Sheeva 11 offers ample flotation for me (5’9”, 145 lbs), and was easy to command even as I was breaking through to some really deep spots where the snow hadn’t been compacted at all throughout the season. This ski is pretty darn phenomenal in powder. Overall, the Sheeva 11 is playful, easy to turn (even in deep snow), and can also be skied hard when I want to open up longer and faster turns. Thanks to how intuitive it felt, the Sheeva 11 was a great ski for my first deep turns of the season. I thoroughly enjoyed both the Sheeva 11 and Santa Ana 110 in powder. The Sheeva 11’s more generous rocker profile, softer flex pattern, and lower weight make it feel a bit more playful and easier to turn in tight spots. Meanwhile, the Santa Ana 110 definitely feels like it has a stronger tail than the Sheeva 11, which I like for energetic finishes through turns. The Santa Ana 110 also feels a bit more damp and stable, especially in chop / crud. Both skis offer abundant flotation and are awesome contenders in the women’s ~110mm-underfoot category. I think it comes down to whether you want the stronger tail and more damp feel of the Santa Ana 110, or the increased playfulness and maneuverability of the Sheeva 11. When the powder started to get chopped up, the Sheeva 11 definitely shined when things were on the softer side. 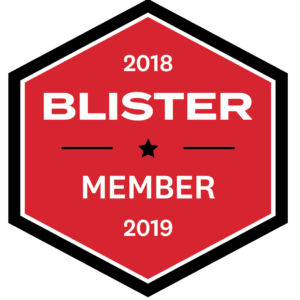 While it does ok in rough, firm snow, I could feel the tip and tail flexing and getting knocked around a bit in firm crud. The Sheeva 11’s behavior in these conditions wasn’t a dealbreaker as it still remained fairly composed as long as I wasn’t trying to charge at high speeds. But when comparing it to the Santa Ana 110, whose damp feel and stability inspired more confidence in firm chop, the Sheeva 11 definitely felt like it got knocked around slightly more. In soft chop, the Sheeva 11 is able to blast through the snow with ease. The Blizzard Sheeva 11 is an impressive women’s big-mountain powder ski. While it excels in powder, the Sheeva 11 also does pretty well in firmer or less-deep conditions. When I wanted to charge, it was able to, even through softer variable snow. At the same time, it’s also very intuitive, maneuverable, pretty playful, and easy to ski at slower speeds. And in areas where I was not very optimistic about how the Sheeva 11 would perform (firm snow, groomers, moguls), I was continually impressed. 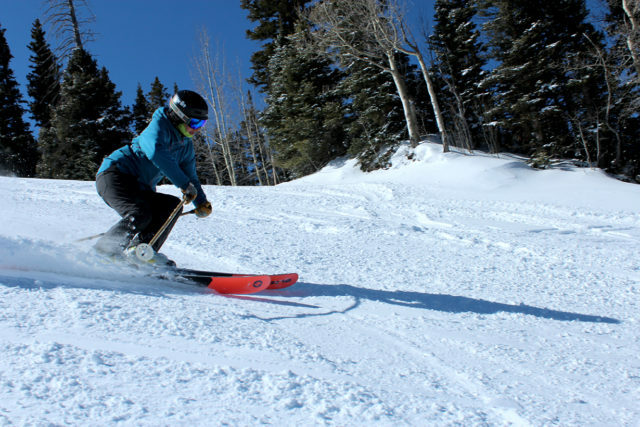 For a place like Taos Ski Valley, the Sheeva 11 is a great option for storm days, while still being fun on groomers on the way back to the lift, or when encountering soft chop as things get skied out. 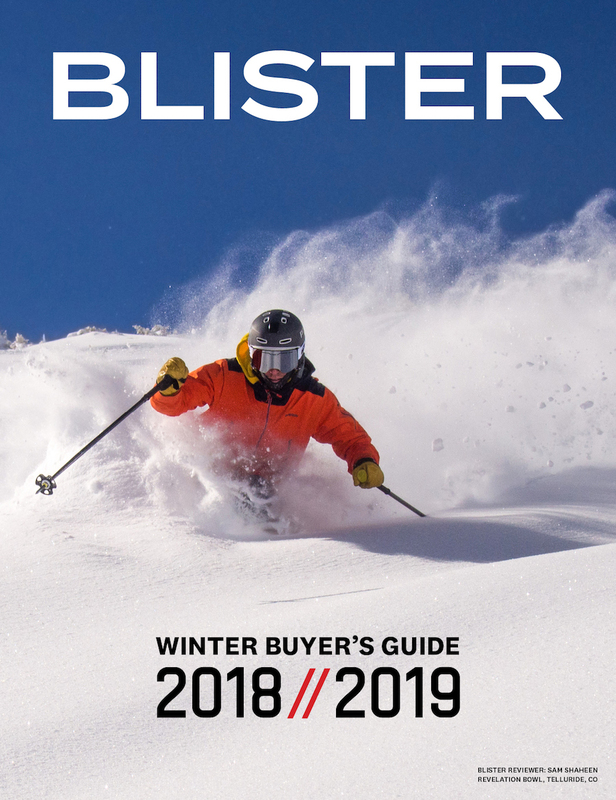 Overall, it’s an intuitive, fairly forgiving ski that can still be skied pretty hard, making it a solid option for a lot of skiers. The 179 Gunsmoke is my favorite ski of all time and I was really sad when they retired it. I’m so torn on the Sheeva 11. My newly beloved 173 Black Pearl 98s ski way longer than the 179 Gunsmokes, but going all the way down to a 172 with this much rocker seems a little short while going up to a 180 with less rocker than the Gunsmoke seems like an awful lot of ski for my size. Wish this one came in at somewhere around 175-176! Hi! 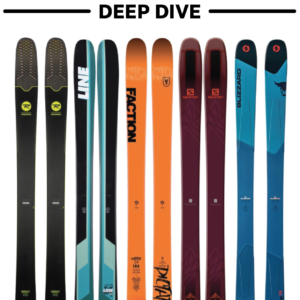 Based on the skis you have tried, which would you recommend between the Sheeva 11, QST 118, or HOJI W to an advanced-expert skier? I’m only 5’2″ and 120lbs, and don’t want to get “skied” by the skies when conditions are less then ideal.